Have you ever wished you had a guidebook for your child? Thanks to Dr. Alan Kazdin, you can have the next best thing. As a parent, you will get a lot of (often unsolicited!) advice, much of it conflicting. It can be difficult to know who to listen to or what to do. You may find yourself trying all of it and getting more confused, and frustrated, in the process. It may start to seem like nothing works with your child. If this sounds familiar, you're not alone. Even parents who seek professional advice may find themselves confused and frustrated by a lack of progress. The good news is that there is A LOT of research on how to manage childhood behavior problems and get your child's behavior on track. 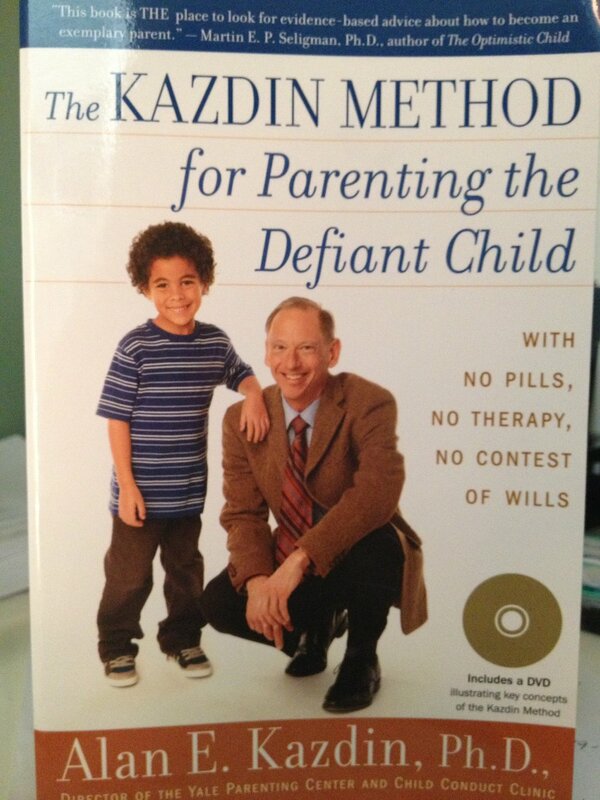 In this book, The Kazdin Method for Parenting the Defiant Child with No Pills, No Therapy, No Contest of Wills, Alan Kazdin, Ph.D. summarizes much of the research on effective parenting, explains why common parenting wisdom often fails, and provides parents with real-life examples and guidance for developing a behavior plan for their own child(ren). Research consistently demonstrates that parent training is one of the most effective ways to manage childhood behavior (even outside of the home). Not only has it been proven to help parents teach their children to behave better, but also to improve the parent-child relationship, reduce parenting stress, and improve mental health for both parents and children. Even if your child is not overly defiant, the approach outlined in this book can help you manage common child behavior challenges with less frustration. If you're looking for a proven method for managing your child's behavior that you can learn and implement from the comfort of your own home, this is the book for you. If you continue to have difficulty after trying this approach, or want additional guidance and support in implementing the method, look for a psychologist who is familiar with the technique.